Knowledge is power, they say. If true, why not spy on the economics and financials of electricity generation infrastructure, given that the taxpayer and consumer are paying for it? Put another way, why not provide data to empower policy-makers, investors and civil society to give the taxpayer and consumer what they want most of all: least-cost energy? These questions motivated Carbon Tracker to build a free online tool that tracks the economic and financial risks of coal-fired electricity at the asset-level throughout the world. The tool covers 6,685 coal units, which represent ~95% (1,900 GW) of all operating capacity and ~90% (220 GW) of all capacity under construction. The tool provides current and forward-looking estimates of the operating cost, gross profitability, relative competitiveness, stranded asset risk and phase-out year in a below 2°C scenario. 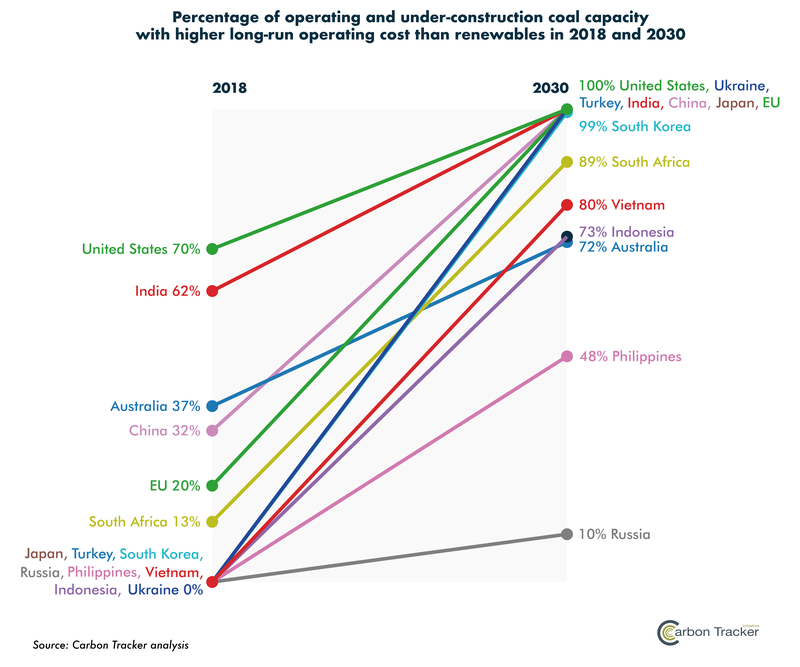 The analysis underpinning the tool shows coal electricity is not only struggling to make money and failing to compete with renewable energy, but that shutting units in a manner consistent with the Paris Agreement could be the least-cost option. These findings highlight an energy sector mega trend: with or without climate policy, coal is increasingly a high-cost option. 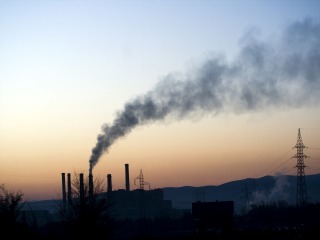 The latest round of UN climate change talks (termed COP24) have kicked off in the Polish coal city of Katowice. Arriving for two weeks of talks, COP24 participants will enter buildings in Katowice mostly heated by nearby coal plants. One of those is the hard coal plant Katowice. According to our tool, Katowice’s B1 unit could already be unprofitable by $17/MWh; it may cost more to run than building new renewables by 2019; and it will need to be closed by 2023 to be compliant with the temperature goal in the Paris Agreement. This asset-level data can be used by policy-makers, investors and civil society to encourage companies and politicians to ensure decision-making reflects economic logic and not vested interests. Without robust and defensible decision-making, coal plants will likely become stranded assets which, for many taxpayers and consumers, will equate to higher tax and energy bills. The market capitalization of Europe’s largest electricity utilities declined nearly 40% from 2008 to 2013, providing a vivid example of what happens when decision-making goes astray. In this regard, the establishment of initiatives such as Climate Action 100+ and Powering Past Coal Alliance offer mechanisms for governments and investors to work together. Moreover, electricity prices often define whether a politician obtains or remains in power. As consumers increasingly realize that coal equals high costs, we expect voters to put pressure on those politicians who continue to subsidize coal. We also expect taxpayers to lobby those politicians who try to circumvent this problem by subsidizing electricity prices, as artificially low prices will impact the fiscal health of the government and state-owned utilities. Without reform, the taxpayer will pay for this economic inefficiency. Pro-coal governments and utilities often respond to these economic and financial headwinds with misinformation. Shadow reporting through asset-level data can shine a spotlight on this deception and empower the taxpayer and consumer to demand least-cost electricity. Asset-level data can also help those policy-makers and investors who are left in the dark about electricity generation costs. Knowledge is power. With a better understanding of the evolving cost of electricity, the taxpayer and consumer are not only better placed to demand least-cost energy, but policy-makers, investors and civil society can work together more effectively to make sure it happens.